Jan Nimmo is a Glasgow based artist, designer and award winning filmmaker who studied at Glasgow School of Art. Over the past 25 years she has worked on a wide range of creative projects, encompassing solo exhibitions, interior, textile and graphic design, filmmaking, research into Latin American popular arts and facilitating issues based art projects for community groups. She has explored an equally wide variety of media, from painting, collage and printmaking to photography and moving image. Jan's recent work is essentially people centred and looks at the lives that people lead - from portraits of musicians and artisans from Latin America to documenting picket lines in Ecuador; from transcriptions of banana workers' testimonies to recording oral history in Scotland. Jan sees her role as that of bridge-builder, creating direct links between people and across cultures, focusing on social and environmental justice and recording stories that would otherwise be lost. A fluent Spanish speaker, Jan has developed a specialist working knowledge of popular Mexican art and Cuban traditional music. 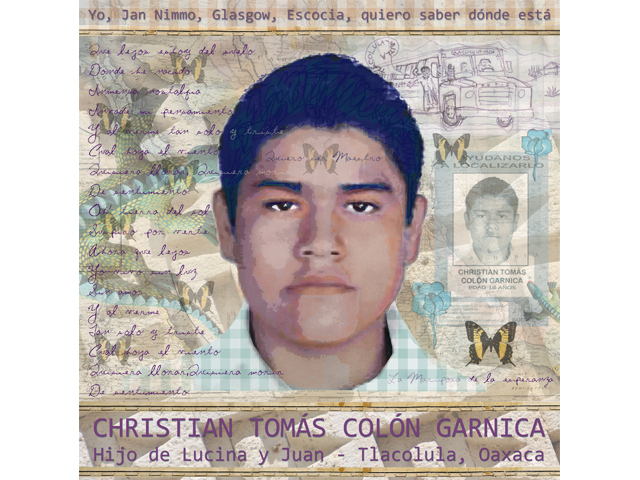 She spent much of 2015 making portraits which pay tribute to the Ayotzinapa 43+, students who were forcibly disappeared in Mexico in September 2014. In 2000 she initiated a collaborative art project, Green Gold, which documents the lives of banana workers in Costa Rica, Panama, Ecuador and Cameroon, through portrait, testimony, installation and film. Both of her award winning documentaries from the project, Bonita and Pura Vida, have been broadcast and screened at festivals internationally. 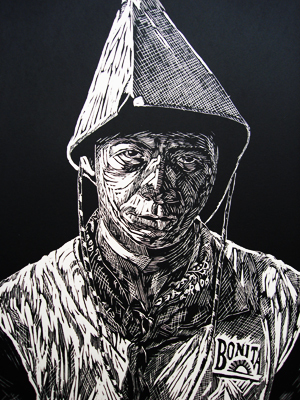 Her most recent work is Portraits from Cameroon. A regular visitor to La Sierra de Huelva in Southern Spain, Jan has embarked on a slow burning project, Retratos Serranos, which portrays rural life there. Much of her research is carried out on horseback, with Chaparro, her Andalusian gelding and mobile film and photography unit! She is currently gathering material about cork production and writing articles for her blog. 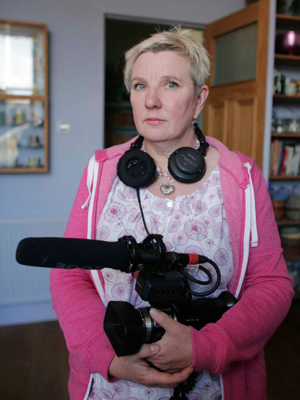 Closer to home, Jan has made a feature length documentary "The Road to Drumleman" about the mine where her late father, Neil, worked; the Argyll Colliery, Machrihanish. She is currently working on a series of portaits, The Faces of Argyll Collery, documenting former miners and people associated with Argyll Collery. Poet, Gerry Loose: "The Road to Drumleman is a tribute to the miners of Argyll Colliery and a rich oral history of a hidden Scotland. Not just Kintyre, but the whole country is enriched by this moving, witty, compassionate landmark film". 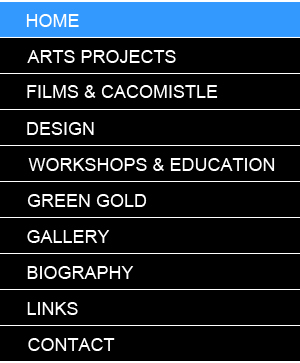 Jan's film productions and collaborative projects are made under her Cacomistle Productions label. Jan's films can be viewed on her film page or on her Vimeo Channel. For more images visit gallery. Visit Jan's blog, Travels with Chaparro and other stories... for articles, new drawings and stories. The Road to Drumleman heritage project, which is gathering images and stories from Kintyre's coalmining past, is now underway. Jan is leading the project with the support of SKDT. For more information on the project and its supporters check the blog, The Road to Drumleman. Travels with Chaparro - a letter from the Sierra de Huelva - an article originally written by Jan for Reforesting Scotland and then published in The Ecologist magazine. You can read it now on the blog. There are more stories about cork and rural life in the Sierra on the blog.